SUP Austin - SUP ATX Stand Up Paddle Boards (PaddleBoards) Now Available! SUP Austin is short for Stand Up Paddle Austin. 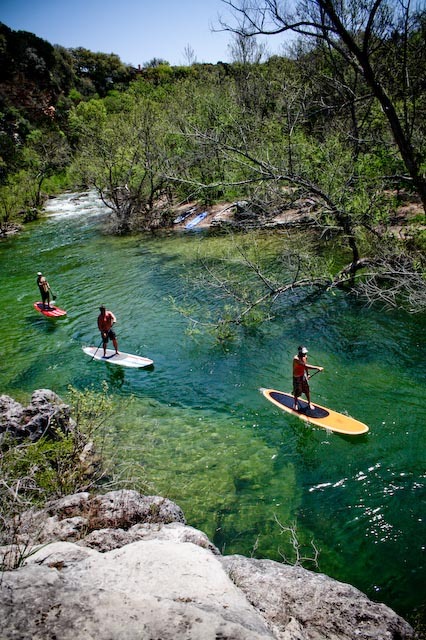 SUP was popularized in Austin by SUP ATX with the arrival of the "SUP ATX Stand Up Paddle Journey from Malibu to Austin. [Buy Stand Up Paddleboards in Austin] A band of surfers traveled on a four day road trip from Malibu to Austin to introduce and popularize SUP in Austin. 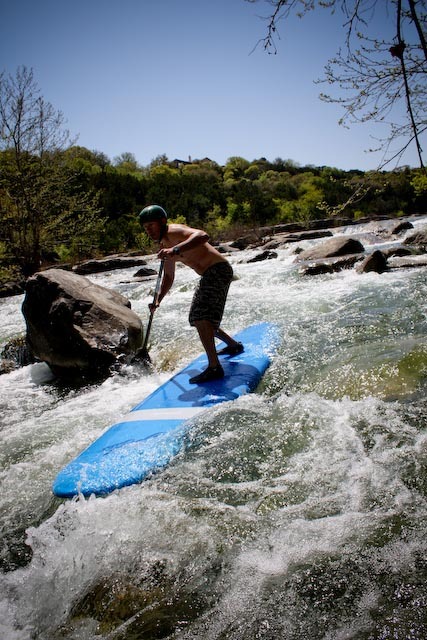 SUP ATX identified Austin as an ideal location to establish the "SUP Capital of the World. 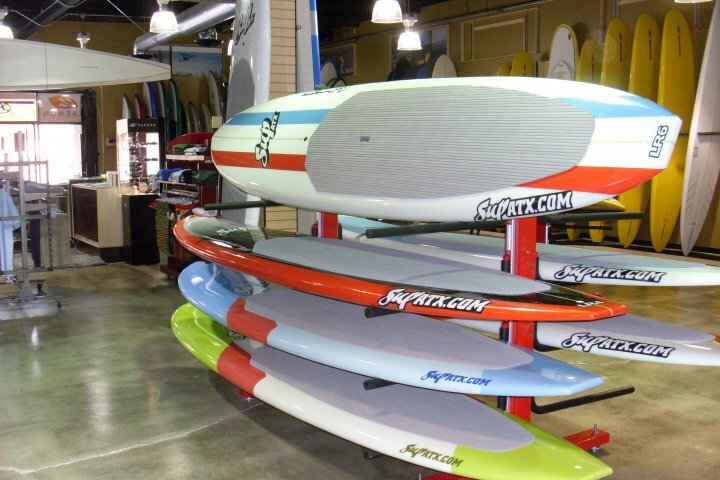 As an Austin, Texas based company, SUP ATX is now the #1 SUP board maker in the world. SUP has since boomed in popularity in Austin area lakes including Lady Bird Lake (Formerly Town Lake), Lake Austin, Lake Travis and in lakes and rivers across Texas, the United States and around the world. SUP ATX has established many Austin area SUP events to encourage everyone to give SUP a try, including SUP Austin Meetup Groups, free SUP Austin clinics and free SUP Austin Demos. Over 2000 Austin residents have now tried SUP, the SUP Austin - SUP ATX Facebook page has nearly 10,000 fans and the SUP Austin - SUP ATX Meetup group has nearly 1000 members. SUP Austin! 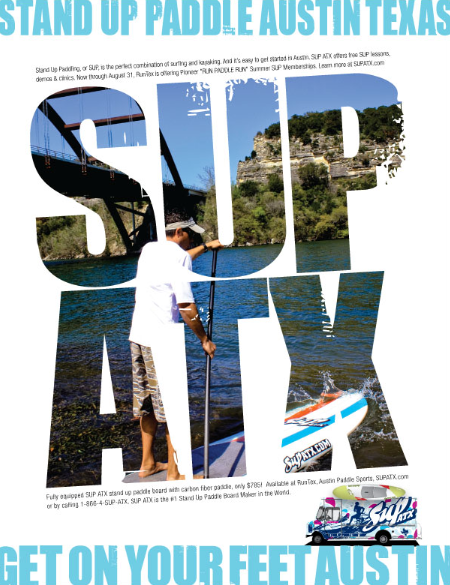 SUP Austin is a trademark of SUP ATX, the #1 stand up paddle board maker in the world based in Austin, TX. 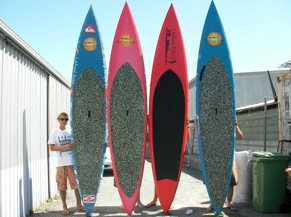 Below is the Spring 2010 line of stand up paddle boards offered by SUP ATX. They each come fully equipped, include a carbon fiber paddle and shipping! Stand Up paddle Austin - Try Stand Up Paddling for Free in Austin Texas! Now in Austin: Free SUP Rentals - Free SUP Lessons - Free SUP Clinics - Try SUP for Free in Austin Texas Courtesy of SUP ATX! The Stand Up Paddle Journey from Malibu to Austin arrived on Lady Bird Lake in downtown Austin, TX in September of 2009.